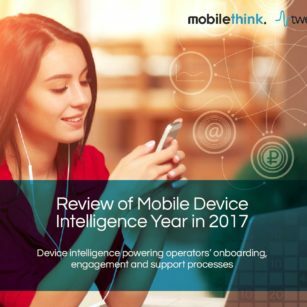 Download Mobilethink and Tweakker's Device Intelligence Review 2017 and discover which global device market trends affected MNO and MVNO businesses in 2017. 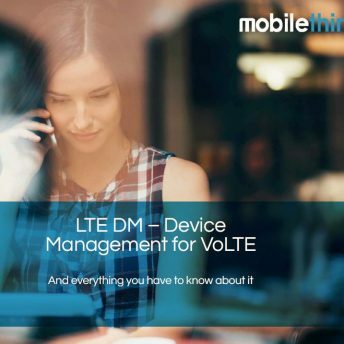 Master VoLTE Device Management - the fast track to VoLTE success! 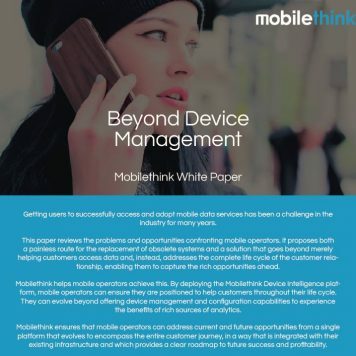 Read Mobilethink’s VoLTE Device Management eBook and learn how automated device configuration and always up-to-date settings guarantee successful VoLTE service uptake and reduced costs! Download our white paper to find out why legacy device management solutions are failing to address mobile network operators’ forward device intelligence requirements. Mobile operators have long lived with the burden of being the de facto technical support centre for device manufacturers and due to the rapid proliferation of the smartphone market this problem is only getting bigger. Digicel El Salvador identified this growing problem early and decided to act upon it before it was too late. 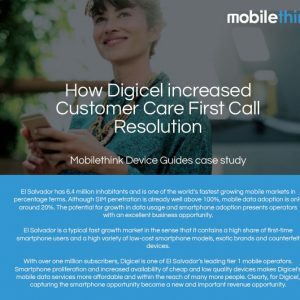 Read the case study and learn how Digicel reached their customer experience goals by deploying Mobilethink Device Guides. 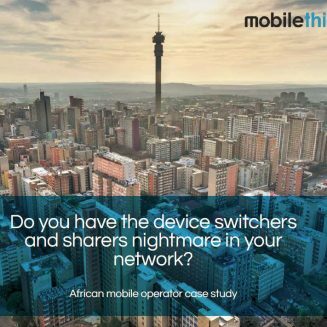 Do you have the device switchers and sharers nightmare in your network? Switchers and sharers form a valuable and large share of an African operator's subscriber base. Switchers also introduce one common challenge: high call center load - up to 127% in our customer's case. Why do so many mobile operators get it wrong when solving the switchers and sharers nightmare? This eBook presents a unique solution to send your switchers and sharers problem to the history books. 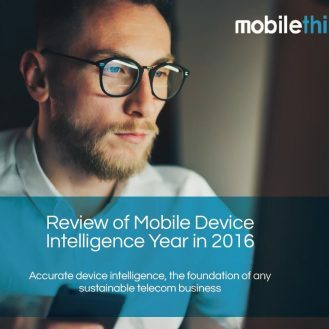 Download Mobilethink's Device Intelligence Review 2016 and discover which global device market trends affected MNO and MVNO businesses in 2016, and how accurate and up-to-date device intelligence drove further efficiencies and profitability into their operations. 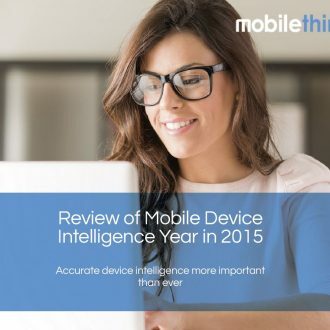 Download Mobilethink’s Device Intelligence Review 2015 and find out more about the rapidly developing mobile device markets and how our global intelligence makes more sense and business out of it!